Honeycomb moray (Gymnothorax favagineus) free swimming, cleaning and hunting (Titan triggerfish intro), Southern Atolls – Maldives. 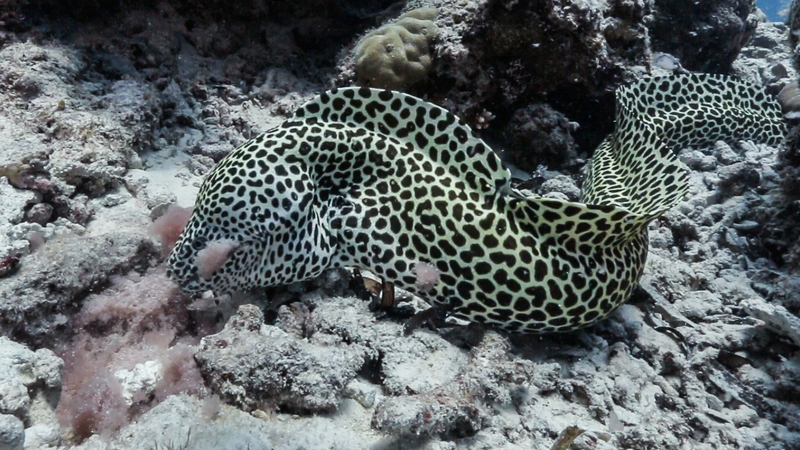 Filmed with a Canon EOS 70D, Canon 10-22mm in Nauticam housing. Music: Snowflakes by Celestial Aeon Project. Do not share my image or video to promote or endorse the aquarium industry (include web media, forum, journal in this subject). 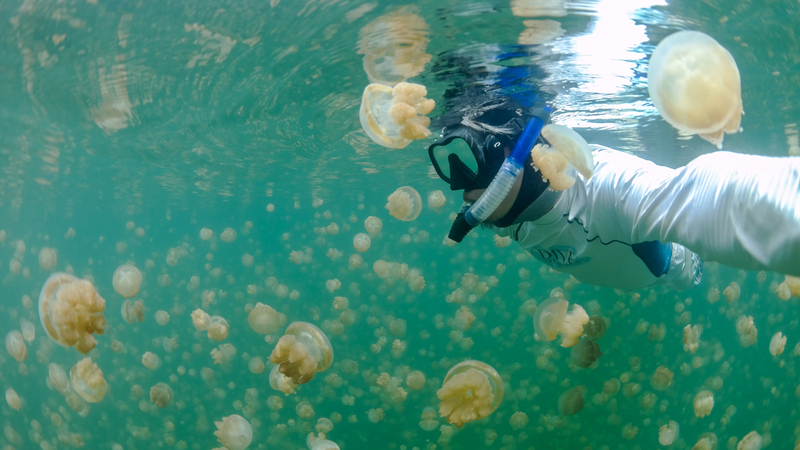 Swimming among thousands of jellyfish in Jellyfish Lake (Ongeim’l Tketau), Palau. Shot with a Samsung Galaxy NX, 10mm FE lens in Nauticam housing. Jellyfish Lake (Palauan: Ongeim’l Tketau, “Fifth Lake”) is a marine lake located on Eil Malk island in Palau. Eil Malk is part of the Rock Islands, a group of small, rocky, mostly uninhabited islands in Palau’s Southern Lagoon, between Koror and Peleliu. There are about 70 other marine lakes located throughout the Rock Islands. Jellyfish Lake is one of Palau’s most famous dive (snorkeling only) sites. It is notable for the millions of golden jellyfish which migrate horizontally across the lake daily. Jellyfish Lake is connected to the ocean through fissures and tunnels in the limestone of an ancient Miocene reef. However the lake is sufficiently isolated and the conditions are different enough that the diversity of species in the lake is greatly reduced from the nearby lagoon. The golden jellyfish, Mastigias cf. papua etpisoni, and possibly other species in the lake have evolved to be substantially different from their close relatives living in the nearby lagoons. 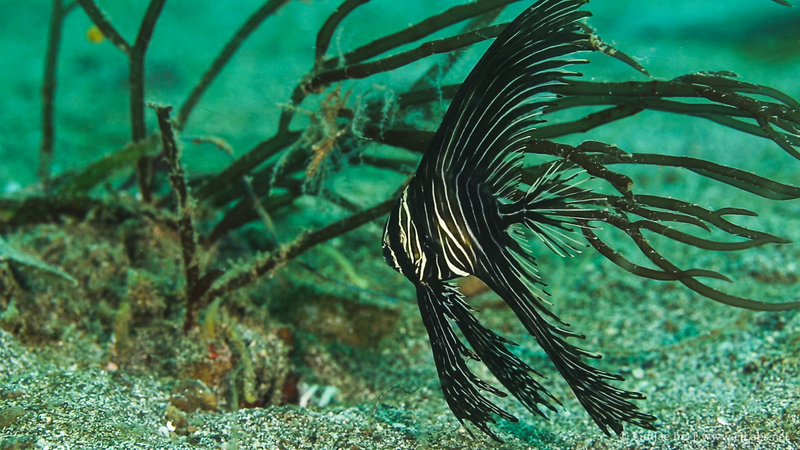 Batavia Spadefish (Platax Batavianus) – Juvenile aka Zebra Batfish at Lembeh Strait, North Sulawesi, Indonesia. Shot with Canon 5D Mark III, 100mm lens. 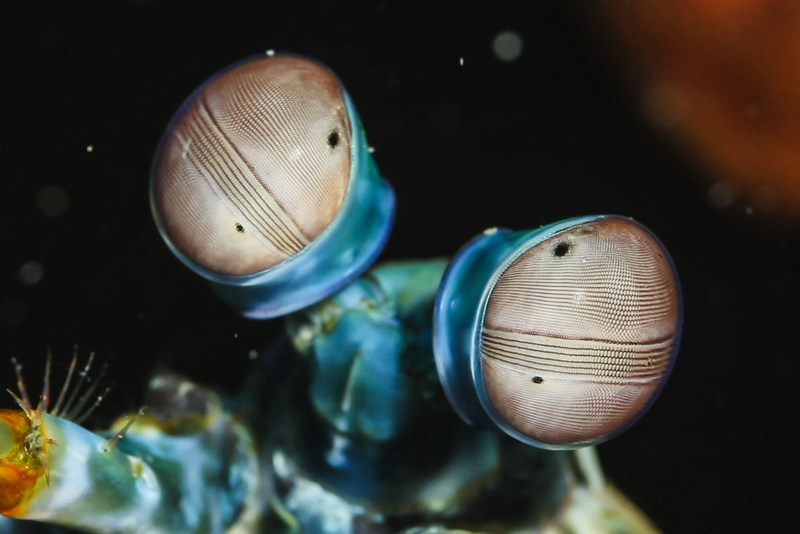 The eyes of the mantis shrimp are probably the most advanced eyes of any animal. Spearing Mantis Shrimp closeup and Peacock Mantis, Keel Tail Mantis Shrimp with eggs. Filmed at different dive sites in Indonesia and Philippines. 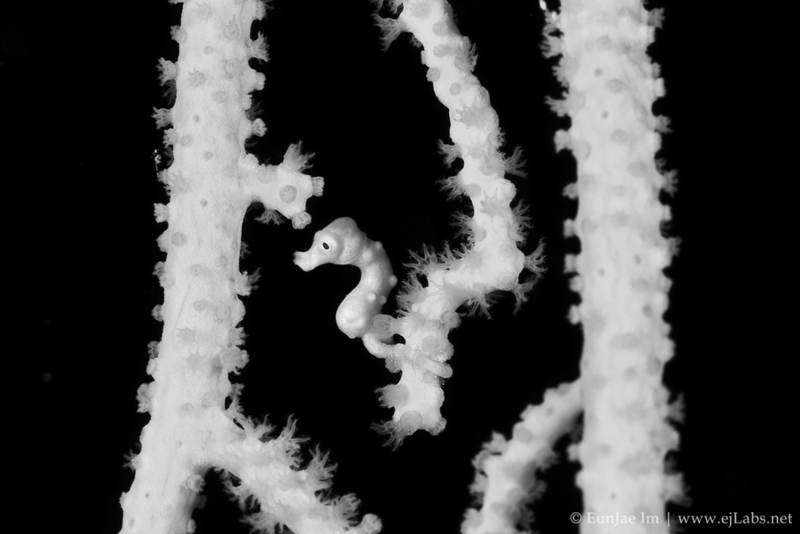 Denise’s pygmy seahorse (Hippocampus denise). Pygmy seahorses are among the most well camouflaged species in the oceans, being very difficult to spot amongst the gorgonian coral they live in. Hippocampus denise is tiny, growing only to a total length of 1.5 cm (5/8 inch). It is orange and resembles the pygmy seahorse, Hippocampus bargibanti, though its tubercles are less distinct (From Widipedia). Shot with a Canon 5D Mark III, 100mm lens in Nauticam housing. Lembeh strait, North Sulawesi, Indonesia. Feb/2013.